Back in August I submitted a guide for the hack.guides() Tutorial Contest about building a Simpsons quote-bot with Twilio MMS, Frinkiac, and Python. I enjoyed writing that post so much that I decided to rewrite a similar version in a language less familiar to me: Ruby. I also wanted to dabble a bit with Morbotron, a database made by the same team that developed Frinkiac. In this tutorial, we are going to use Twilio and Morbotron, the Futurama quote and screencap database, to create a Ruby app that will automatically send us a Futurama screencap and quote every day via MMS. Best of all, we are going to accomplish this in less than 50 lines of Ruby. Yup, no cron jobs, no servers, just Ruby. If you don't want to follow along and just want to see the finished code, check out the Github repository..
Before we can jump into code, we need to set up our environment. If you see the message RVM is not a function, selecting rubies with 'rvm use ...' will not work. see this StackOverflow post before continuing. Let's break down what we just installed. 'rufus-scheduler' - A popular job scheduler for Ruby that will allow us to execute a given method at specific time intervals. 'httparty' - A gem that simplifies HTTP requests. We will use it to make GET requests to the Morbotron API since there is no official API wrapper. 'twilio-ruby' - The official Ruby gem for using the Twilio REST API. Lastly, make sure you have a Twilio account. Sign up for free if necessary. Since we're developing a Quote-bot with MMS capabilities, you'll need a Twilio phone number that can handle MMS and SMS. Use the Phone Numbers Dashboard to check capabilities by phone number. Once that's all set up, you're ready to start building the Quote-bot. It's time to start building our app. In your Gemfile directory, open a new file called morbotron.rb in your preferred editor. # Set up a client to talk to the Twilio REST API. # Set up our scheduler. The first three lines in the code above are simply importing all of the libraries we just installed. The three lines after our imports configure and create a Twilio::REST::Client object that will let us make calls to the Twilio REST API. Make sure you replace the values for account_sid and auth_token with your actual account SID and auth token. You can find these values in your Twilio account dashboard. The final line creates our scheduler, which we will configure shortly. # Check if our request had a valid response. # Extract the episode number and timestamp from the API response. # Combine each line of subtitles into one string, seperated by newlines. get_quote uses httparty to send a GET request to Morbotron. 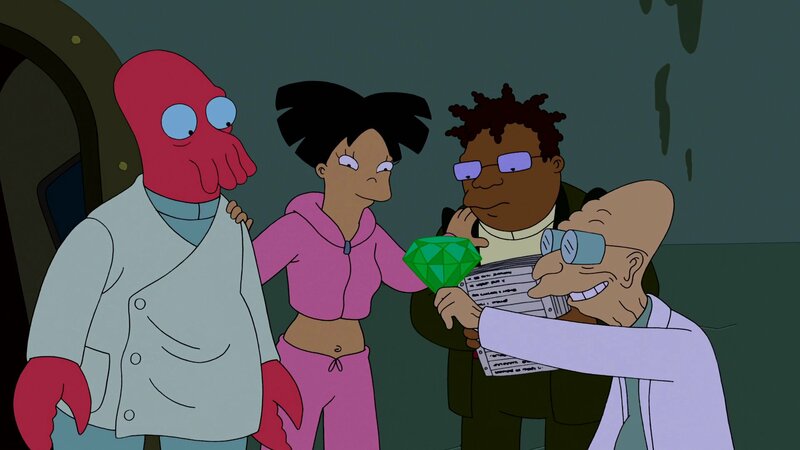 This retreives data about a random Futurama moment. Although Morbotron isn't technically an API, the entire site is React-based and fetches resources via HTTP. As such, we can use the site in the same way that we would use an API. Next, we convert our retrieved data into JSON, extract the timestamp and episode code, and convert the timestamp into a string. timestamp and episode are used to create the URL that points to a screencap of the random Futurama moment. Finally, we grab the contents from each line of subtitles in our JSON and join them together to form our screencap's caption. This method starts by calling the get_quote method we created in the previous step and storing its return values. The begin/rescue block from above was adapted from the Twilio Ruby Helper Library documentation. These lines are simply taking in a number of parameters and turning them into a call to the Twilio REST API. Replace the to and from parameters with your phone real phone number and your Twilio phone number, respectively. I recommend that you check your terminal to see if any errors occurred during the API call. rufus-scheduler allows you to intuitively set the frequency of a method. Our app will now behave according to the scheduler, which means that send_MMS will be called once every 24 hours indefinitely or until you exit the app. For the purpose of testing the application, it's a good idea to change the schedule we added above to run more frequently. For example, scheduler.every '30s' do would call the send_MMS method every 30 seconds rather than every 24 hours. Your terminal will look like it has frozen. This just means that your app is running. After 30 seconds, you should see Message sent! in your terminal. See the "Optional Steps" section for instructions on running your program as a background process. If you run into errors with Twilio, you will see a number of helpful tips printed to the terminal about how to resolve your issue. "It's a priceless quantum-force gemerald." Congratulations! You've just built a Twilio-powered MMS Futurama Quote-bot using nothing more than a few lines of Ruby. The tools in this guide, such as the httparty, twilio-ruby, and rufus-scheduler libraries, can be used in numerous ways to create applications with new functionalities. Try combining new APIs and libraries with some of Twilio's other features like Voice or IP Messaging, and see what you can come up with! Special thanks to this Twilio article written by Greg Baugues for help with parsing JSON with Ruby. If you enjoyed this post be sure to check out the Twilio Blog for an endless amount of interesting articles and fun projects. Also, check out my personal blog for technical and non-technical articles, and follow me on Twitter @brodan to see when I publish more posts! An alternative approach to configuring your Twilio::REST::Client object is to use environment variables. See the repository for full documentation and examples. This command will return a process ID (PID) number (1872 in this example) that you can append to the kill command in order to terminate your program (e.g. $ kill 1872). If you decide to use PID-kill, it might be a good idea to remove any lines that print to the terminal. Thank you for reading my tutorial on creating a Futurama-based Quote-Bot using Twilio MMS, Morbotron, and Ruby. I hope that you found this guide informative and entertaining.